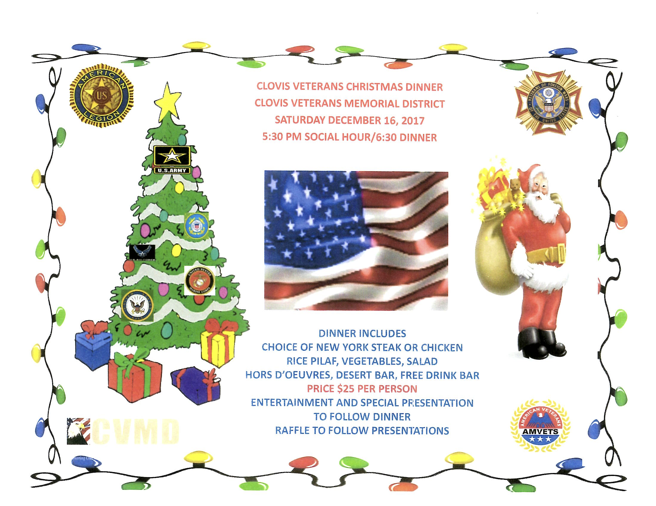 This year’s Christmas Party and Dinner is being held on December 16 at the Clovis Veterans Memorial District. Social hour starts at 5:30 p.m. followed by dinner at 6:30 p.m. Entertainment and raffles will follow dinner. This event is being catered by Pacini Catering. Please see the flyer for details. We will be hosting a pot-luck desert and appetizer bar so please bring in one of your famous (or infamous) creations for all to enjoy.